1. Deliver communications that are welcome — While direct mail volumes have dropped considerably, recipients want the pieces they still do receive to include offers that are relevant and timely. Start with a current database, and segment your audience(s) into groups you can realistically define. Determine their hot points, then craft messaging that speaks to their individual needs. Today's data processing and mining tools are nothing short of exceptional. And many companies, such as Digital Lizard and our parent LSC Communications, have fine-tuned these offerings to help clients master their targeting, marketing strategy, and outreach. 2. Wow your audience visually (or with other senses) — Vibrancy is key to commanding attention. Your audience will be drawn to the more unique, colorful, or tactile mailpieces, over traditional fare. So instead of simply selecting "80# gloss text" for your roll-fold, consider the rich opportunities. Digital printing is no longer limited in stock and color selection. Digital Lizard has access to hundreds of substrates, and can produce up to 7-color builds and Pantone matches. You can increase your efficiencies if you mail a larger annual quantity (2,500+ pieces), and can produce your materials using offset pre-printed templates that can be later customized with full, 4-color digital variable printing and finishing. This "hybrid" combination saves mid-to large-sized clients significant expenditures, while expanding opportunities for coatings, specialty print techniques, and even things such as scented inks and scratch and sniffs. 3. Differentiate — Getting consumers' attention is not enough. 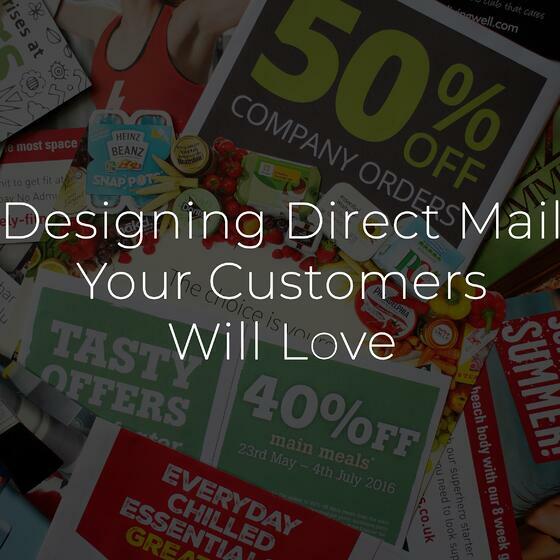 Your mailer needs to showcase you as different, important, and/or authoritative. Achieve distinction by unusual, but compelling campaigns. Think high-end touches, specialty paper stock (parchments, translucents, textured, etc. ), foil stamping and embossing, specialty shaped mailers/diecutting, or a latitude of other options you can get from our crew. Talk to your account service rep, ask for samples, and check out electronic tools and options. Then immerse yourself in your clients' industries and drivers, so you can determine your best approach. 4. Create value — No campaign or effort will ever achieve greatness unless your target understands the generated value. Yet different people will perceive this differently. Thus, it's best to have a broad approach, providing various possibilities for benefits to your many potential audiences. This can be accomplished via specific offers, actions you ask recipients to take, or simply in your approach. Keep in mind that you're always competing against someone else. Even though today's marketplace is pretty lucrative, you need to present your possibility as not only "another option" but as the "best possible alternative on the market." As you wade through ideas, give us a call. The team at Digital Lizard is continually tapped to ideate concepts to advance customers' businesses and create value. We look forward to being a component in your success. Contact us at 866.494.6155 for support with strategy, pricing, samples, and more, or click below.